Editor’s note: What is the “right way” to take and organize research fieldnotes? In this guest post, David Keyes explores his fieldnote hang-ups and shares how he came to understand his own “right way” with Evernote. Whether you do it the old-fashioned way with a notebook and pen, or rely on new technologies, David concludes that it’s simply a matter of personal preference for whatever process lets you do good research. 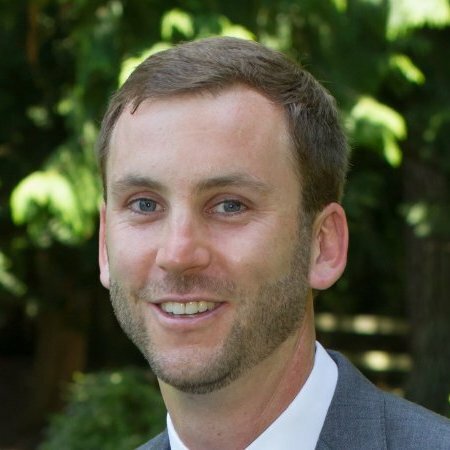 David is a researcher at the Oregon Community Foundation conducting evaluations of several statewide initiatives in education philanthropy. He is also a soon-to-be-PhD recipient from the University of California, San Diego, where he researched the integration of Latino immigrants through the lens of sports. He lives in Portland, Oregon with his wife and his dog, Diego. When I went into anthropology, I never thought my best tool for conducting research would be my smartphone. In my PhD training at the University of California, San Diego, discussions with my professors and classmates were far more likely to focus on theory than on methods. When we talked about “fieldnotes,” it was never clear what these things actually were. Were they notes written down by hand in a notebook? What other tools might anthropologists be using out in the world? My courses focused on theory and high-level debates about the nature of society, culture, and the like. But actual nuts-and-bolts ideas for how to keep fieldnotes were noticeably absent. My graduate program had exactly one class on methods. It was optional, a fact that underlies the lack of importance given to practical items like fieldnotes. Once, when I asked a professor of mine about how he took fieldnotes and kept them organized, he seemed perplexed and confused as to why I was interested in such a trivial matter. He muttered something about folding notebook pages in half, with notes on one half, and I’m not exactly sure what on the other. Let me state my bias clearly: I don’t like paper. I have atrocious handwriting and often struggle to read what I write. I find writing by hand to be incredibly inefficient compared to what I can do with a keyboard (thank you middle school typing class!). When I began my dissertation research, I was also concerned about doing things the “right way.” Even though I knew there wasn’t really a “right way,” I was convinced that anthropological fieldnotes had to be tangible notes written down in ink on paper. Perhaps it was the classics that we read in my coursework that made me think this. When Malinowski cruised the Western Pacific, he took notes with ink on paper. Although anthropological writing today looks very different from Malinowski’s day, I encountered no writing on what new methods might look like, leaving me wondering if the old way was still the right way. In my research, I focus on the integration of Latino immigrants in the United States, studying this topic through the lens of youth soccer. My research is not typical of many anthropologists, whose field sites and home sites are separated by vast distances. My fieldwork, however, involved following several youth soccer teams over 18 months in San Diego. Most of my research involved being what I refer to as a “father without a son.” I followed teams as if my son played for them. This occasionally evoked odd looks, but most of the actual fathers (and a few mothers) came to tolerate my presence. I was already an odd figure when I began my research, and I didn’t want to stick out any further. The first few times I attended team practices, I showed up, dutiful anthropologist, with my paper notebook in hand. It was a complete failure. Now, not only was I a father without a son, I was bringing along a notebook to write down things about the children and families I was observing. As I considered how to solve the problem of my weirdness, I looked around at the parents. None of them had notebooks, but almost all of them had cell phones. In between conversations, they made calls and texted. Hmm, I thought, I have a cell phone. And then the lightbulb went off: I can use my cell phone to take fieldnotes. The solution I came up with is elegant in its simplicity. I used Evernote, the digital note-taking program that allows you to take notes from any device (and sync between them all), put them into various notebooks, and search your entire collection of notes (or use the built-in tagging functionality). Evernote was a program I had been using on my own to organize recipes and other personal notes. Fieldnotes are simply a collection of notes, I thought, so why not try to apply it in this context? At each practice or game I went to, I would create a new note. While at the soccer field, I took very brief text notes (mostly bullet points) and photos of interesting observations and interactions. If I wanted to record an interview, I added audio to the note. On the drive home, I sometimes threw on my headset and recorded my thoughts. Evernote offered me much that a physical notebook could not have. Like the example above, I often had multiple types of media (text, audio, and photos) organized in a single note. Having a note for each time I went to the field allowed me to include whatever type of media was most useful in recording my observations. The best part about using Evernote was that as I was taking fieldnotes, I looked like any of the other parents, tapping away at their phones. Nobody looked at me strangely as I opened up a physical notebook to record my observations. Everyone simply assumed I was doing what they were doing on their phones. As a result, my note-taking process didn’t get in the way of my interactions, enabling me to develop rapport, and ultimately gather more useful information, from the people I was interacting with. Using Evernote for fieldwork and data analysis, I have been able to keep all of my fieldnotes organized. Even now as I put the finishing touches on my dissertation, I constantly refer back to the notes I have stored there. While Evernote doesn’t have any features designed explicitly for qualitative data analysis, its robust organizational features make it incredibly easy to create and find information. Evernote was not originally designed for researchers. But as it has developed, people have realized how it can help them with the research process. What Evernote does incredibly well — gather and organize information — is a major part of what researchers do. The “real” way to do fieldnotes is a question for each person to decide. Once I got over my hang-ups about the nature of fieldnotes, I was able to think creatively about how best to conduct my research. I came to realize that the way I took notes was less important than coming up with a process that enabled me to make and organize observations. Once I thought more about the best way to achieve the goals of my research, rather than trying to mirror exactly how anthropologists of a hundred years ago (and many still today) did their research, I was able to come up with a solution that worked for me. Not only did Evernote allow me to take and organize my notes, but it also improved my research itself by allowing me to connect with people. Physical notes proved to be a barrier to my success; with Evernote, as far as anyone knew, I was just another dad on his cell phone. To find out more about David and his research, visit his website or connect with him on LinkedIn. It was funny to see this post as until recently I thought we were all doing this, or some version of it – that is until a colleague looked at me like I was out of my mind when I explained that I use my phone to take fieldnotes because everyone is always looking at their phones anyway. Obviously it depends on who you work with, but I’ve been doing this since about 2009, when I was doing my MA thesis. I was also working at the CUNY Graduate Center as a technology specialist at the time to fund my education, and I introduced as many researchers there as would listen to the idea, including Fernando Coronil who, before he passed away, I helped migrate his fieldnotes from FileMaker database to Evernote. I’m also surprised that more people don’t do this. My few attempts at using pen and paper to take notes were so maddeningly inefficient and were such a barrier to me connecting with people that I was so relieved when I realized how effective Evernote could be. Thanks for your interest!